The Institute for Global Labour and Human Rights’ report Unprecedented Changes. Soon after the Tazreen fire and Rana Plaza collapse, there were two types of reaction from the buyers who were sourcing garments from Bangladesh. There was one group who felt they need to move away from sourcing from Bangladesh. Another group felt somewhat responsible for what had happened, although in the strictest sense the blame would have been entirely the factory owners’. For people outside the industry, the buyers were the easiest people to blame. They were more visible, they were big, they made profits, and most importantly, they were foreign. It was easy for the factory owners to absolve their responsibility by saying that these big bad buyers paid them very little forcing them to cut corners. And the government to throw up its hand in despair abdicating its role in regulating safety standards and fair wages in an industry it needs to protect. Things were not made any easier by well meaning, but ill-informed activists at home and abroad calling for a boycott of companies sourcing garments from Bangladesh. ‘Fair price’ rather than ‘fair wages’ became the slogan of the day, disregarding the fact that higher prices came to the factory owners first and not directly to the workers, and there was nothing there to ensure that higher prices would lead to higher wages. Conversely, higher wages would not automatically outprice Bangladesh from the global market if there was enough margin to accommodate the increased wages from the profits the factory owners were making. But the buyers knew this, and under any normal circumstance they would have made plans to leave Bangladesh rather than stay on and unfairly take the flak. It is to the credit of a number of determined buyers who decided to stay on to pitch in their efforts in exerting pressure on the factory management and owners to rectify the situation. 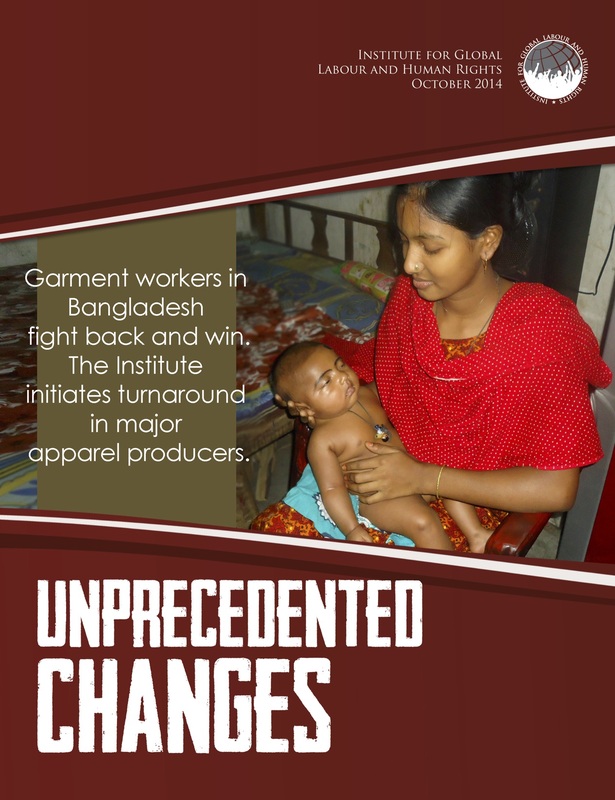 A new report brought out recently by the Institute for Global Labour and Human Rights says, “… We believe that this is a moment when change is possible in Bangladesh, and that with continued attention, pressure and solidarity, it will be possible to win enduring improvements for the five million garment workers across Bangladesh. But, for these changes to endure, there is another missing piece: Bangladeshi workers must be afforded their rights to organize and to bargain collectively, recognised under Bangladeshi and international law. In July, the Institute reached out to the Swedish retailer H&M with regard to poor conditions at the 10,000 worker Windy Group in Bangladesh. Once alerted, H&M and the Windy Group immediately initiated major improvements. Overtime hours have been reduced. Workers now receive Fridays and national holidays off. All hours are recorded and paid correctly. Pregnant women workers are now treated well and paid their correct maternity leave. These Bangladeshi garment workers are telling us that their working conditions, hours, wages and benefits — and their lives — are far better now”. On one level, it is a great outcome, but in another sense it is a sort of humiliation for a country, an industry and indeed the factory owners, that an external party such as the buyers would get involved in the inner workings of factory management and throw their weight on such matters. But it only came to this due to our disregard of good business practice and basic human value which had to be upheld to save the industry. The Report only covers two large groups of local factories; we are yet to see how far its effect will reach in the industry. Farhad Mahmud is an entrepreneur in the carbon consulting industry, and was the founding Managing Director of ETV, the nation’s first private TV channel. Editor’s note: Read Farida Khan’s related article Reflections on “Unprecedented Changes” in the Garments Sector of Bangladesh here.